Wow. When I was growing up, I did not appreciate my parents. I was busy living out my own desires, figuring out who I was, and exploring the world. I took Mom and Dad for granted. I had judgments about them and wished they were otherwise. At times I was disrespectful. I was a self-involved teenager. at odd hours and my mother worked in a hat store during the day and at a factory at night. They did everything they could to keep me safe, comfortable and happy. For most of my childhood we lived in an awful section of the city, where crime and depravity were rampant. Realizing the dangers of this environment, they worked harder to earn more money to move to a nicer part of town where the rent was quite high. They performed many other extraordinary generous acts. Despite their human frailties and habits I judged, their parenting was born of pure love. Looking back now, my heart is bursting with gratitude I wish I had shared with them when they walked the earth. My regret in not expressing this when I could have is offset by the comfort that wherever they are now in God’s great kingdom, they receive my appreciation. Perhaps your parents were not so loving and you were subject to mistreatment or abuse. Perhaps one or both of your parents were alcoholic or had some other dysfunctional habit. Perhaps they fought bitterly, or one was absent, or they divorced when you were young. Perhaps you harbor resentment, hatred or guilt about your relationship with them. Perhaps you still have a hard time being with one or both of them. Perhaps you blame them for imprinting you with negative programming that has created pain in your own relationships, and you feel thwarted from the reward you desire. Next, gain compassion for your parents by recognizing that their acts that caused you pain issued from their own pain. “Hurt people hurt people.” I have coached many clients who are seeking to make sense of their relationship with a dysfunctional parent. I ask them, “What was your parent’s own pain? Who trained him or her to be fearful and mean?” In every instance my client traces their parent’s dysfunction back to some abuse that parent received from their own parent or another authority figure. The client’s parent did not have the skills or tools to achieve healing, so they passed their pain on to their children. "A Course in Miracles" tells us that every act is either a skillful expression of love or a call for love. When we reframe our parents’ negative behaviors as calls for love, we ease our own pain and clear the way for us to help them. Most Asian families have altars in their homes honoring their ancestors - a practice we could well gain from doing ourselves. If you don’t wish to build an altar to your parents in your living room, you can create a sacred space for them in your heart. This year don’t reserve Valentine’s gifts for your honey only. Honor those who love you more than you know. 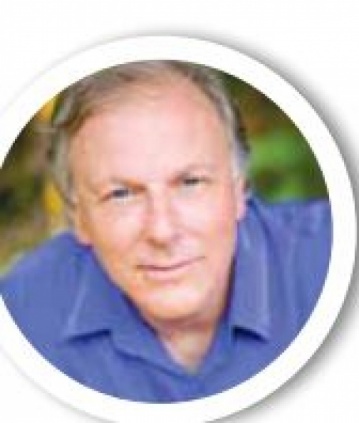 Alan Cohen is the author of A Course in Miracles Made Easy; mastering the Journey from Fear to Love. Join Alan and friends in Hawaii, Feb 26 - March 2 for a rare retreat, Unplugged. Put your devices aside for a few days, liberate yourself from technology, and reconnect with yourself and your life. For more information about this program, Alan’s books and videos, free daily inspirational quotes, online courses, and weekly radio show, visit www.alancohen. com.